Prime Minister David Cameron speech, favorable to the right of peoples to independence is crucial and marks a turning point in this long walk towards a Catalan state. 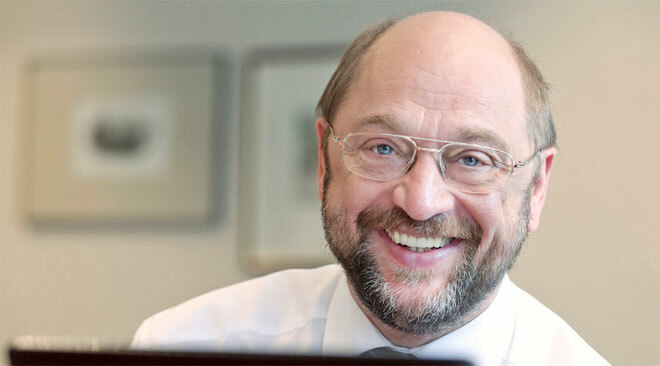 His message is clear: In this civilized Europe all territorial conflicts must be solved in a civilized way, he therefore calls Spain to negotiate. In fact, he actually goes beyond that: If Mr. Cameron accepts a referendum on independence to be held on Scoltland he cannot afterwards reject it when it comes to the Catalan case. After the UK recognizes Catalonia the USA will follow suit and a large majority of the European countries will also do so sooner or later. And so will all countries in South-America. The reactions of Spain, Russia or Romania are therefore irrelevant. Mr Cameron’s move is not an isolated one. The intrigues of Ambassador Federico Trillo “the only political ambassador of all those PP has nominated” (according to his own proud assertion) have no doubt produced the opposite effect to what he was expecting. The British government, bewildered till exhaustion by an insidious constant pressure, refused to participate in the ‘common front’ suggested by Madrid against Scotland and Catalonia. “That’s the way we do things”, said Cameron the same day. Not the Spanish way, clearly. The big mistake made by Madrid was to presume their domestic reasons would also be accepted outside the distribution area of La Razon, ABC and El Mundo. Diplomacy is a tradition-based discipline and “the case of the Catalans”, dating from 1714, still stands in the British historiography. It is not by accident that Portugal is the oldest British ally. Furthermore, Mr. Cameron’s action reveals a perception which has become widespread. There are three Spanish embassies in Brussels -to Belgium, to NATO and to the EU- which add up a crowd of three hundred Spanish diplomats, civil servants and bureaucrats at the Belgian capital. Since last September 11 they all share the common task of damaging Catalonia’s reputation and torpedoing all initiatives coming from the Catalan government or Catalan EU Parliament members. And last but not least, all PP representatives by the EU Parliament, who join in the chorus as loud as they possibly can. The great majority of the European staff, from caretakers to Commissioners, are increasingly becoming tired of their constant inquiries, to the point the catchphrase “The Spaniards are coming” has become a popular joke. The most intense offensive was held during the days prior to April 22, when Catalan President Artur Mas opened the exhibition “Catalan, a European language” at the EP. All Catalan-friendly MEPs and high executives were visited, individually, by Spanish representatives. Besides, Spanish PP MEPs tried to put the exhibition off sine die by using an excuse as ridiculous as the upcoming elections -to be held three months later-. That was the first time a demand like this was ever made trying to cancel an act because of elections, despite many acts had been priorly appointed having tighter electoral calendars ahead. In that presentation Mr. Mas was given a treatment corresponding to a Head of State and no Spanish flag was on display. One hundred and fifty attendants gave him a warm applause after he finished his speech in Catalan. Among the public there were relevant people in office: Isabelle Durant, EP vice-president; Guy Verhofstadt, president of the liberal-democrat group, and Graham Watson, British MEP favorable to the referendum in Catalonia. Needless to say, headlines in Spain spoke about “Mas Failure in Europe“. Eighteen MEPs attended the exhibition opening, though the usual number is hardly seven or eight. The case of Catalonia awakes great interest in the EU and they all wanted to get first hand information. Before the opening was held, Artur Mas met three European Commissioners. A really unusual amount for a regional president of which there are about three hundred in the EU. The Commissioner for Internal Affairs, Cecilia Mälstrom, a Swedish liberal who speaks Catalan, wrote on Twitter “in a very interesting meeting today with president Mas we discussed Catalonia’s situation”. Commissioner for Culture, Androulla Vassiliou, also tweeted her meeting. By the end of the presentation, Spanish MEP Luis de Grandes; PP representative and number two candidate to FAES executive (Spanish PP think tank), went to the Catalan president and invited him jokingly to the “great presentation of Marca España” to be held at the same spot. Such “great act” took place on June 4 having a public exclusivley composed by spaniards. Spanish eyes watched the ‘sevillanas’ and spanish mouths ate the provided Jabugo ham. 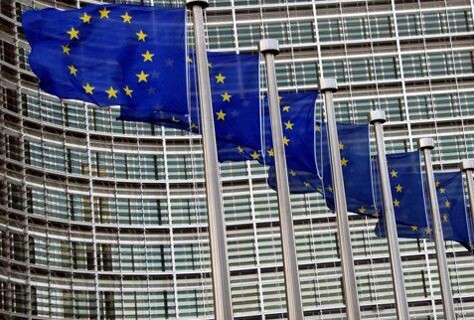 The boycott from the European authorities -complete, without exceptions- made clear Spain’s reputation within the EU. Most Members States see Spain interest in Europe to be opportunistic; linked first to a whim of modernization and, most of all, to compensation funds. Spain will stop receiving funds after 2015 and many think this will be the time when its interest in Europe will start fading off. 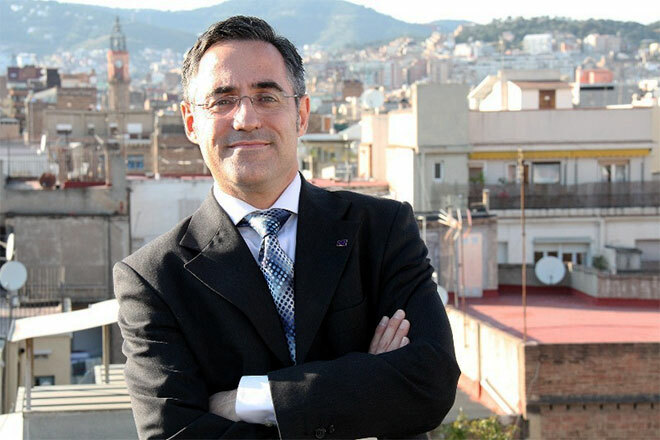 Catalan MEP members refer to the article “After reaching the bottom: a new European policy for Spain”, written by Mr. Ignacio Molina, EU specialist and a clever Spanish nationalist, professor at the Political Science Department of the Universidad Autónoma de Madrid, who is researching at the Real Instituto Elcano (yet another Spanish think tank). Molina regrets the infamous “ensimismamiento” (TN: a very Spanish concept, it could be described as a mixture of reverie and egocentrism). To him, the loss of prestige and influence is caused by arrogance and a wanted isolation. He tells the anecdote of the then German Chancellor Gerhard Schröder getting really cross when he heard the then Spanish Prime Minister José M Aznar lecturing on economic growth, when all the surplus that spendthrift Spain had was thanks to EU’s charity and Catalan fiscal drainage. By playing always that very role they have become the pariahs in the EU. Ramon Tremosa, Catalan MEP, “either in Strasbourg or Brussels, there are people who leave the room whenever a Spanish representative is speaking. They have nothing to provide and just practice some absurdity-based policy, they do not even hesitate in telling lies. Catalan economy stays in the European business core whereas the Spanish one simply does not”. Tremosa often recalls a sentence about Spain uttered by a German MEP: “Failure is rarely derived from spontaneity, it is more often the result of an arduous labor”. Such feelings and opinions had, within a few days, an evident and really hard-beating reflection: The EP voted for the Mediterranean and Atlantic corridors and against the Central, the petition on payment donation in case of eviction was approved, EP’s President, Mr. Martin Schultz did not attend the Marca España presentation after having said he would, admittance of Kossove’s adscription to EU, admission of Gibraltar to UEFA… And the most painful blow of them all was a direct dart: both European Citizen prizes went to the “Nazis” of the Platform of citizens affected by the subprime mortgage crisis and to the separatist Academy of the Basque Language. British PM made it clear that our northern neighbors are starting to lose their temper. “Mr. 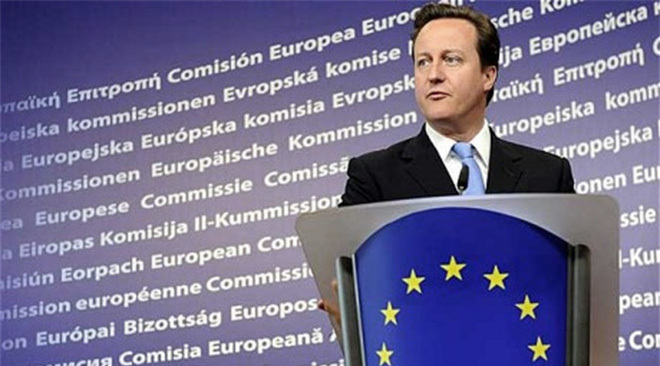 Cameron’s words do not apply to Spain” was the brilliant answer of that master of international relationships called J.A. Garcia-Margallo, Spain FA Minister. It all surely comes from that infamous “ensimismamiento”.